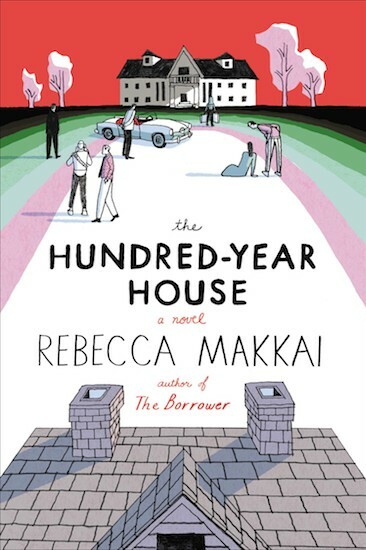 Rebecca Makkai’s sharp-witted sensibility is at work on every page of The Hundred-Year House, an entertaining and absorbing novel that combines genres into an appealing and unique hybrid. 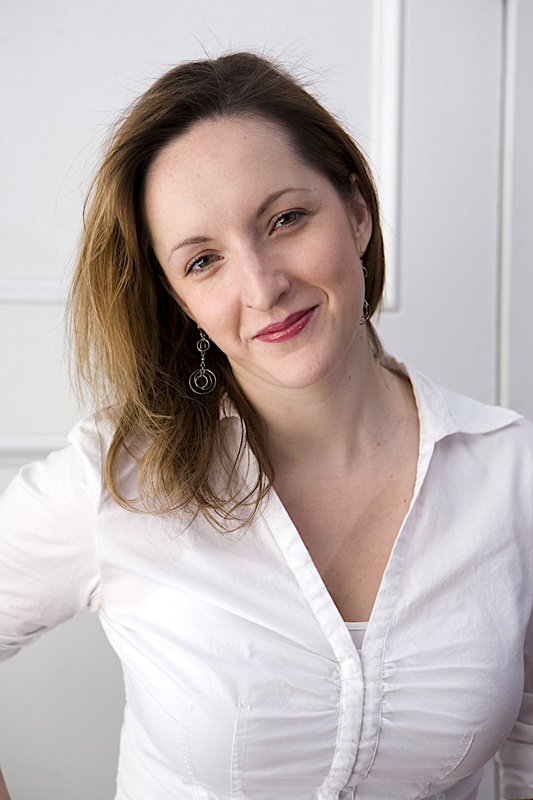 Her second novel (following 2011’s The Borrower) is a literary mystery, a multi-generational family saga, a ghost story, a portrait of several marriages, and an exploration of the creative life set in three different eras (1929, 1955, and 1999), reflected in the novel’s three sections. It is 1999 and Doug and Zee Herriot have agreed to live in the expansive carriage house on the Chicago-area estate of Zee’s eccentric mother, Gracie Devohr, and her Y2K-obsesssed stepfather, Bruce. Zee is an English professor at the local university and Doug, currently unemployed, is researching the life of minor American poet Edwin Parfitt with plans to write a biography. What would possess a young couple to live with the wife’s parents? Well, the price is certainly right, but for Doug it’s the fact that Laurelfield was once an artists’ colony at which Parfitt was a regular guest. When he learns that several file cabinets containing Laurelfield Arts Colony records are locked up in the attic, Doug becomes a man obsessed. His biography has stalled early in the research stage and he fervently believes the documentation needed to break his writer’s block and lead to a groundbreaking biography will be found in those file cabinets. But Gracie won’t let him or anyone else near the attic. Doug and Zee soon find themselves disturbed by the huge portrait of Zee’s great-grandmother, Violet Devohr, hanging in the dining room. Violet’s spirit permeates Laurelfield, and not because she and her husband were the estate’s original residents starting in 1900 or because she was involved with the opening of the arts colony. Violet committed suicide somewhere on the property, but no one will say where or how. What is known is that Augustus Devohr, of the aristocratic but cursed Toronto Devohrs, had the lakeside estate built for Violet in 1900. Makkai has cleverly structured The Hundred-Year House in reverse, so we experience Doug’s investigation into the life of Edwin Parfitt and the estate’s past as we travel back to 1955, when the house changed from arts colony to a private residence once again, and 1929, when the colony was in its heyday. And the family’s secrets are also revealed by going back in time. Makkai juggles several plot strands with aplomb, and there are plenty of surprises in store for attentive readers who are trying to solve the mysteries of Laurelfield alongside Doug. The plot is complicated, with many characters living at or orbiting around Laurelfield in each era. The Hundred-Year House shows us that the history of both people and a place are not always what we expect and in some cases can never truly be known. This is a wickedly plotted and colorfully peopled novel that makes for a completely engaging read, full of perplexing mysteries, skillfully revealed (and often twisted) explanations, and a palpable sense of time and place. The story of Laurelfield the family estate and Laurelfield Arts Colony is even more compelling and provocative than you can imagine. When you finish the Prologue (set in 1900) on page 335, you will be tempted to turn to Part I (1999) and start all over again, looking for all the clues and insights you missed the first time through. I enjoyed The Hundred-Year House from beginning to end (or should I say from the end to the beginning? ), and it stands as one of my favorite books of 2014. This is one of the best reviews I have read. Thank you for sharing. I have now added this book to my “must read” list.